Nearly 3,500 new cancer cases per year in Europe alone are accounted for by sunbeds. 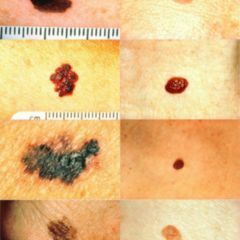 According to statistics, around 800 people die annually from melanoma caused by solariums, an international research team now reports. 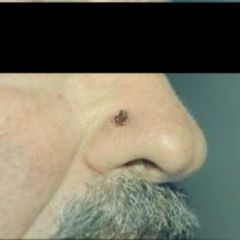 Scientists analysed 11,428 cases of skin cancer (cutaneous melanoma, squamous cell carcinoma and primary basal cell carcinomas) from 1981 to 2012 in the original 15 EU countries (Austria, Belgium, Denmark, Finland, France, Germany, Greece, Ireland, Italy, Luxembourg, Spain, Sweden, Portugal, Netherlands and the UK) as well as three former EFTA (European Free Trade Association) countries of Iceland, Norway and Switzerland, for their meta-analysis. According to the study, the risk of melanoma increases by 20 percent with visits to a solarium with its artificial ultraviolet radiation. Particularly at risk are young people. With people who are already exposing themselves to the UV rays of a tanning bed before their 35th birthday, the risk even rises to double as high, the study published in the British Medical Journal (BMJ) shows. Previous studies may have underestimated the risks associated with tanning beds significantly because these are visited more often than average by fair-skinned individuals, people with red and brown hair, pigmentation and with skin types I and II. “Powerful tanning beds can emit ten to fifteen times more ultraviolet radiation than the midday sun in the Mediterranean”, warns Mathieu Boniol, scientific director of the International Prevention Research Institute in Lyon, France, and his research colleagues. Contrary to previous assumptions, the International Agency for Research on Cancer (IARC) in 2009 classified the whole spectrum of UV radiation and the indoor tanning devices as potentially carcinogenic, not just UV-B rays. Ultraviolet light emits wavelengths which range from 100 to 400 nanometers (nm). UV-A-waves have a length of 315 to 400 nm, UV-B from 280 to 315 nm and UV-C from 100 to 280 nm. Laboratory experiments on human volunteers have shown that UV-A and UV-B radiation can weaken the immune system. Modern tanning beds emit mainly UV-A waves, the UV-B component is just under five percent and is responsible for especially deep and long-lasting tan. 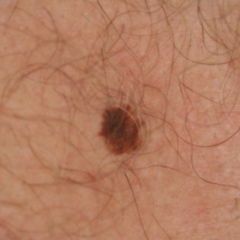 Skin cancer triggered by the UV-lamp skin is said to often be made noticeable only after years. “Therefore skin cancer cases produced by tanning beds could increase even further over the next 20 years”, the researchers suggest. In many countries the use of solariums is still high, even among adolescents and young adults. “Of the 63,942 new cases of skin cancer (cutaneous melanoma) that are diagnosed each year in the 15 EC and three EFTA countries, 3,438 (5.4%) can be referred back to sunbed use, the researchers point out. Here women were, with 2,341 cases (6.9%), affected significantly more often than men, with 1,096 cases (3.7%). Assuming a cancer morbidity / mortality ratio for cancer of 3.7 in men (women: 4.7), in the 15 EC countries 498 women and 296 men succumb annually to a case of skin cancer due to a solarium visit. Melanoma and other skin cancers caused by sunbed use are preventable diseases, Boniol and his colleagues stress. Nevertheless, they add, the solarium industry have done nothing to adequately educate their customers about the risks. “Instead, the industry is still claiming that controlled tanning is safe and even has a positive effect on your health”, the researchers criticise. Restricting the use of tanning beds or making demands that parents should prohibit use by their children is not effective because many parents are themselves users of tanning beds. This proves that clear legal regulations are necessary, which prohibit the use of tanning beds by children under 18 years and of coin-operated tanning salons without supervision. Such laws have recently been enacted in Australia, California and some European countries such as Austria, Belgium, France, Germany, Portugal, Scotland and Spain. The French-Italian study involved a total of 27 individual studies (23 case-control studies and three cohort studies), including eighteen from Europe, seven from the USA and Canada and two from Australia, which were carried out between 1981 to 2012. The calculated risk values are “valid for all Europeans and the fair-skinned inhabitants of North America and Australia”, according to the researchers. The results show that the risk of skin cancer rises with each additional visit to the solarium in any one year by 1.8 percent. People who frequently use a tanning bed are struck as much as 42 percent more often with skin cancer than are nonusers. About 3.5 million Germans under 36 years of age visit solariums, including 167,000 minors. About 224,000 people per year suffer from skin cancer for the first time, 26,000 of whom from black skin cancer (malignant melanoma). 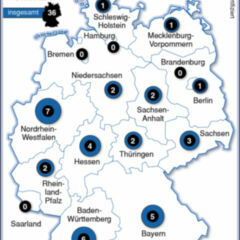 The Mannheim Institute of Public Health (MIPH) as part of the so-called SUN Study (Sunbed Use: Needs for Study-Action 2012)* queried 4,800 Germans between 15 and 45 years of age on their tanning visits and presented the results to the international workshop European Society of Skin Cancer Prevention (EUROSKIN) in Berlin. According to the study, women aged 18 to 25 years ought to be classified as particularly vulnerable. “Women between 18 and 25 are a typical “power user” group, they often go to the tanning bed as much as men”, Professor Sven Schneider, Senior Scientist and Group Leader of MIPH, reported. Another worrying trend is that tanning salons increasingly advertise their services together with the provision of therapeutic ones. “UV therapies should only be done under medical supervision with a clear risk-benefit balance for the patient, because UV rays are a carcinogen and increase skin cancer risk”, warns Prof. Eckhard Breitbart, Chief of the Association of Dermatological Prevention (ADP) in Germany. Further figures presented at the EUROSKIN Congress prove how bad things look in the area of protection as prescribed by law to most tanning salons. Although for minors in Germany a visit to a solarium is forbidden, 167,000 visit a tanning salon annually. At its congress the EUROSKIN experts therefore called for the abolition of unattended coin solariums, more control of tanning salons in terms of compliance with the law, and staff training which is independent of the manufacturers of tanning salons. “Tanning booths have no positive health effects, neither via tanning of the skin nor for vitamin D production nor in strengthening the immune system”, says Schneider. Since 1 August 2012 solarium devices in Germany have not been allowed to exceed a maximum irradiance of 0.3 W/m² of the skin. This value corresponds to the UV index 12, the sun radiation at 12 noon at the equator. The equipment must be labelled accordingly. “The new irradiance level still corresponds, however, to the highest UV dose which can be measured on the ground, that is at noon on a sunny day at the equator”, says Gerd Nettekoven, chief executive of German Cancer Aid. “Until now the irradiating level of old equipment has sometimes exceeded this by a factor of three times”. The new rule is based on the UV Protection Ordinance (UVSV) for sunbeds, which has been legally binding since early 2012. German Cancer Aid and the ADP welcome such regulation. “We still recommend not to use solariums at all, since tips on how to use a solarium without getting possible future damage do not exist”, says Breitbart. In any case, a solarium-check should at least be carried out beforehand. If merely one single item in the checklist has not been met, the solarium should not be used. * The SUN 2012 study will be published in its final form in October, you can access an abstract here in advance.